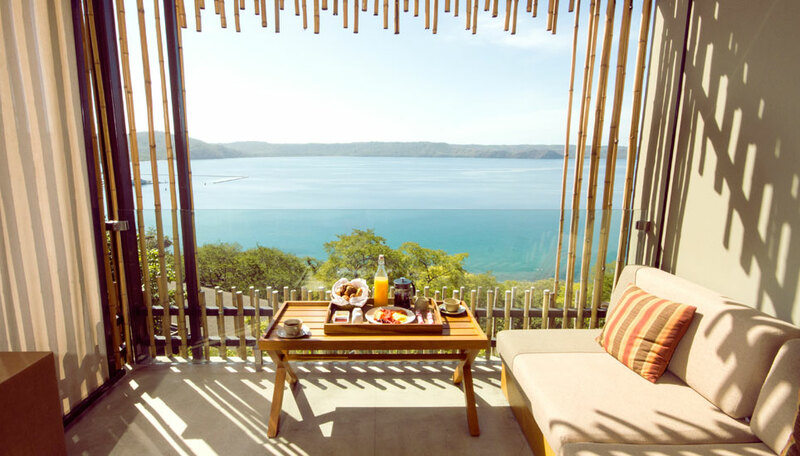 Enjoying a magnificent location where the Gulf of Papagayo meets the tropical forest, Andaz Papagayo combines striking architectural design with top class facilities, where you can relax and enjoy Costa Rica’s ‘pura vida’ lifestyle. Papagayo Peninsula overlooking the Bay of Culebra, Guanacaste province, northern Pacific coast. 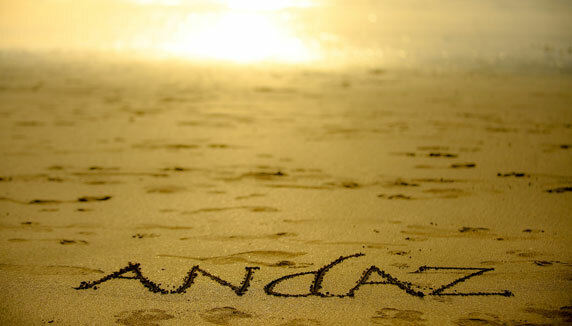 Andaz Papagayo is open year round. This stylish resort offers relaxation and comfort. 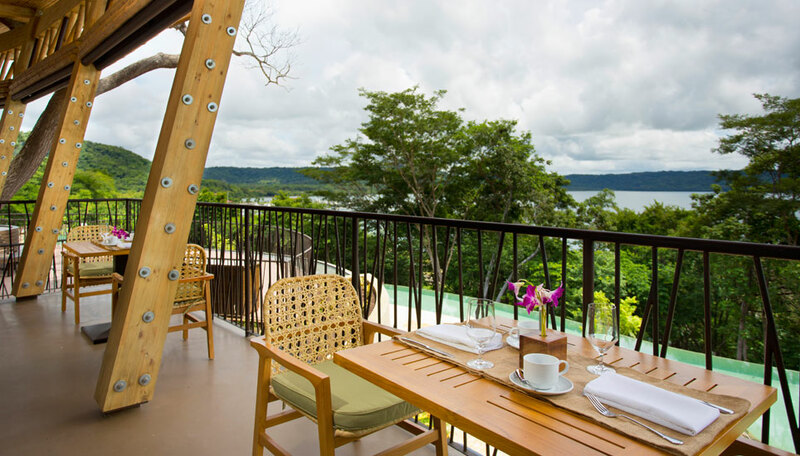 Overlooking Papagayo Gulf, one of Costa Rica’s foremost coastal destinations, and set among tropical forest, you can divide your days between easy downtime on the two quiet beaches and exploring nearby national parks with their varied flora and fauna, as well as enjoying the hotel’s facilities. These include 2 pools, 1 family-friendly and the other adults-only, and the Onda Spa where you can submit to the expert ministrations of the therapists and enjoy a purifying steam room. There are 3 restaurants, each offering different cuisines in distinctive settings, great places to enjoy good food and company. There are several grades of rooms, all combining local décor and modern conveniences such as air conditioning, free Wi-Fi, minibar, TV, en-suite bathroom with all natural or aromatherapy toiletries, bathrobes and slippers. All have private balconies. 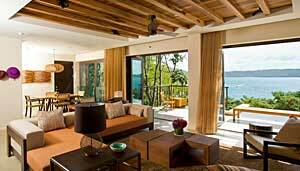 Why go to Andaz Papagayo ? Enjoy the resort’s facilities: swim in the infinity pools, indulge mind, body and spirit with a visit to the spa, savour delicious cuisine at the resort’s 3 restaurants, and take in views of Culebra Bay from your balcony. 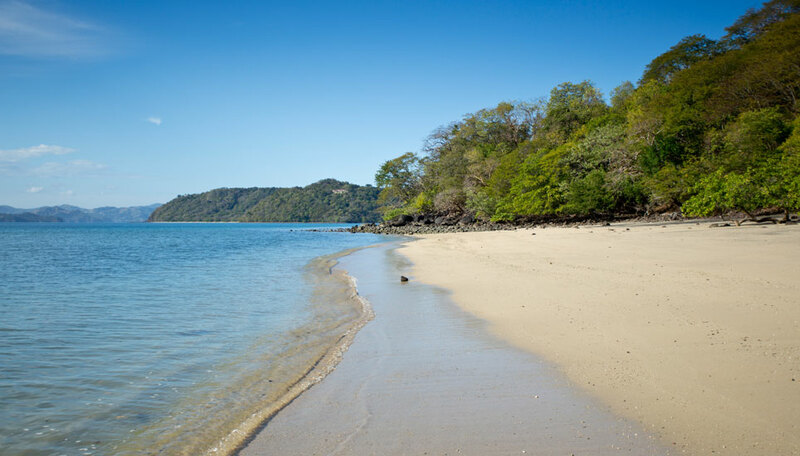 A short stroll brings you to not one but two secluded beaches where you can lie back as you perfect your tan, listen to the sound of the breeze in the trees and the waves on the shore, cool off in the waters of the Pacific Ocean and try watersports. Nearby national parks offer the chance to hike through the tropical, marvel at wildlife, gaze on volcanic peaks and soak on thermal springs. You’ll also have access to tennis courts and the 18-hole Arnold Palmer-designed championship golf course, while at Papagayo marina offers fishing trips and catamaran cruises. The trees around the resort are full of life. Watch howler and white-faced monkeys, iguanas, hummingbirds and butterflies, and snorkeling from the beach you can spot many tropical fish. Travelling a little further afield you can visit Palo Verde National Park, known for its mangroves, swamps and lagoons where there are hundreds of species of neotropical birds including curassow, jabiru – the largest stork in the world, ibis and many ducks. 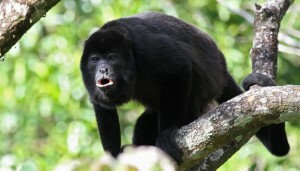 Mammals found here include deer, armadillos, coatis, agoutis and monkeys. Children of all ages are welcome. The Cambi Kids Club (a complimentary service) takes children from 4 to 12 and offers games, creative arts and crafts and storytelling. There is a family pool. Baby-sitting can be arranged. Rio Bhongo restaurant has a children’s menu. There is free Wi-fi in all rooms and social areas. All rooms have telephones. The resort has good mobile reception. 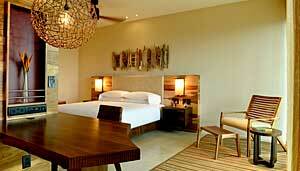 There are 4 types of suite: the Andaz suite, Andaz bay view suite, Andaz large suite and presidential suite. Andaz suites have partial canopy and bay views, while Andaz bay view suites look out over Culebra Bay. Both provide 109sqm of space and have one king size bed, sitting and work areas, bathroom with a walk-in rain shower, bathtub, a range of toiletries and a balcony. Amenities include a complimentary non-alcoholic minibar, kettle, espresso machine, TV, stereo system, alarm clock, hairdryer, safe, phone, air conditioning, ceiling fan and Wi-Fi internet access. 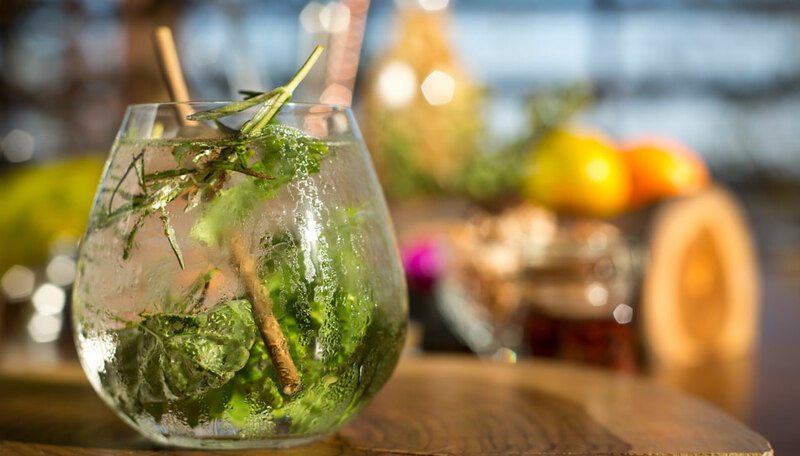 Bathrobes are supplied and Andaz branded flip-flops and straw sun hats are provided as a welcome gift. There is 24 hour room service. The Andaz large suites occupy 164sqm, have a king size bed, living room with blu-ray player , dining area and a large bathroom with a bathtub, a separate walk-in rain shower and toiletries. The large balcony features a plunge pool. General room amenities are the same as the Andaz suite. The Presidential Suite is 299sqm and has 2 bedrooms, 1 with a king size bed and the other with 2 twins, a lounge, dining area, kitchen with fridge and microwave, and entry courtyard. The master bedroom has an en-suite shower room and outdoor bathtub to compliment the main bathroom. There is a full-size swimming pool. Other amenities are as per the Andaz large suite. All Andaz suites can sleep up to 2 adults and 2 children under 12, with an extra bed or crib available on request. The presidential suite sleeps up to 6.